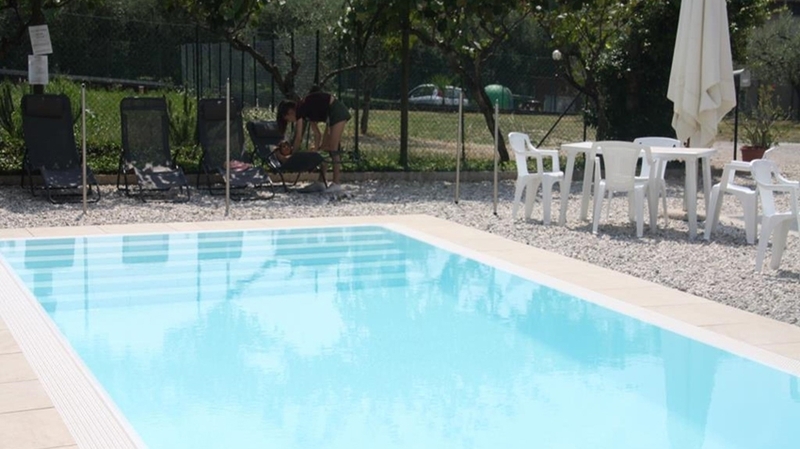 The Apartments GardaStivo are located in a quiet and sunny position at the foot of Mt. 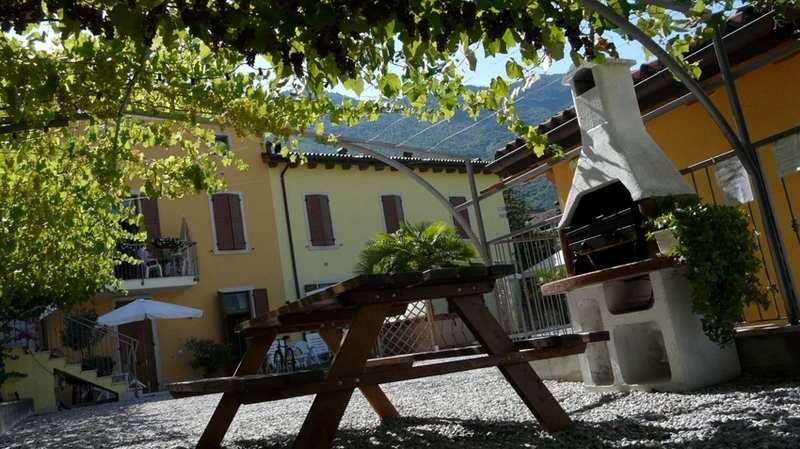 Stivo in Bolognano near Arco, only 4 km from Lake Garda. 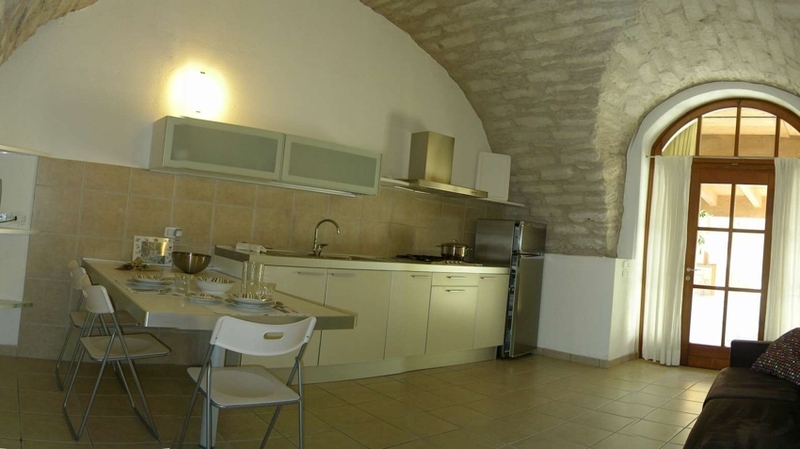 The apartments are accommodated in a historical building of 1860 and have been recently renovated. 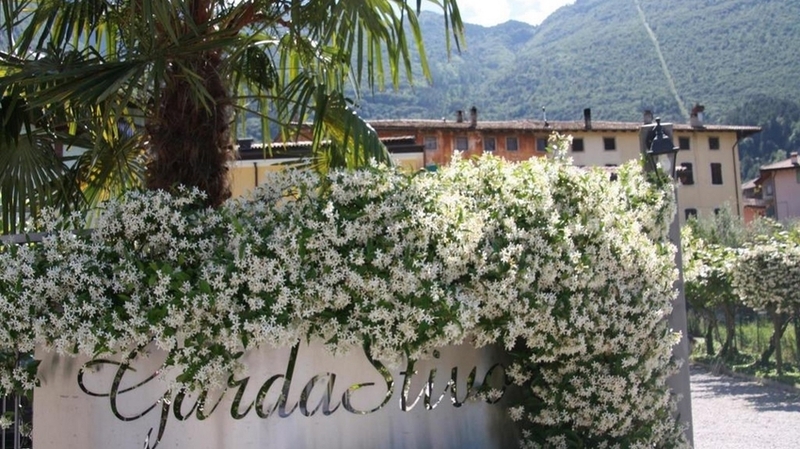 Directly in front of the house, you will find shopping possibilities, a mar, a restaurant, a pharmacy, a playground and everything you will need for your holidays at Lake Garda. 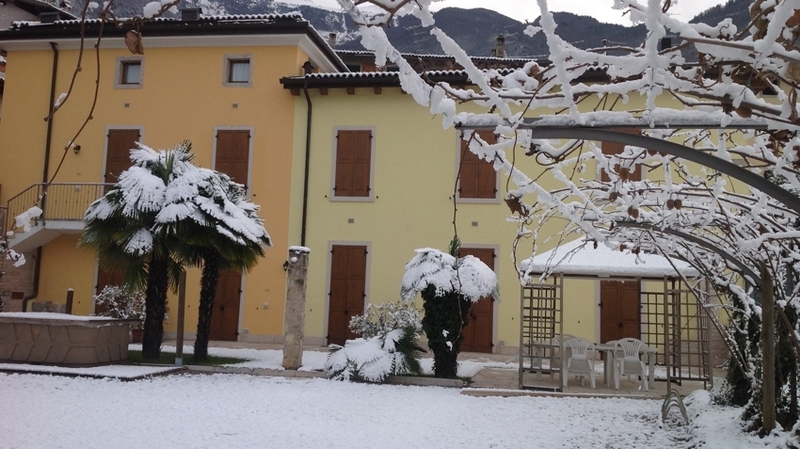 The city of Arco is located only 1 km from the apartments and can be reached on foot within 15 min. Lake Garda can be reached within 20 minutes via a beautiful cycle path along Sarca River. 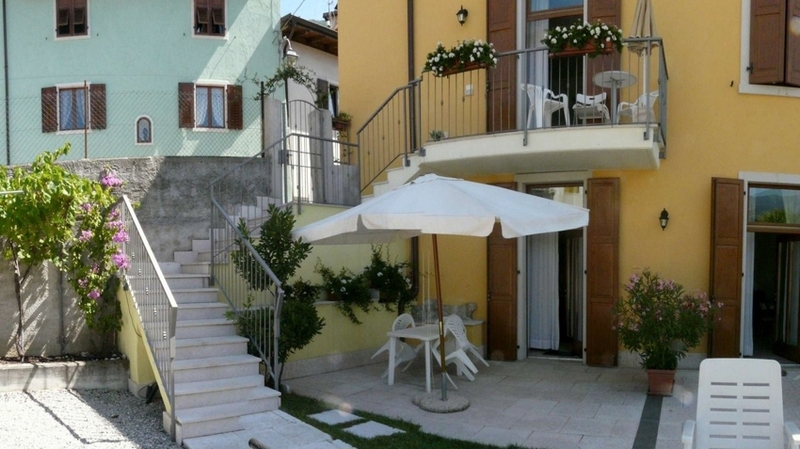 GardaStivo near Arco offers different apartments for 2-6 persons. All of our apartments are comfortably furnished and offer a kitchenette with tableware, safe, heating, towels and bed linen. Against payment, you can also use our air conditioner, WLAN and laundry service. 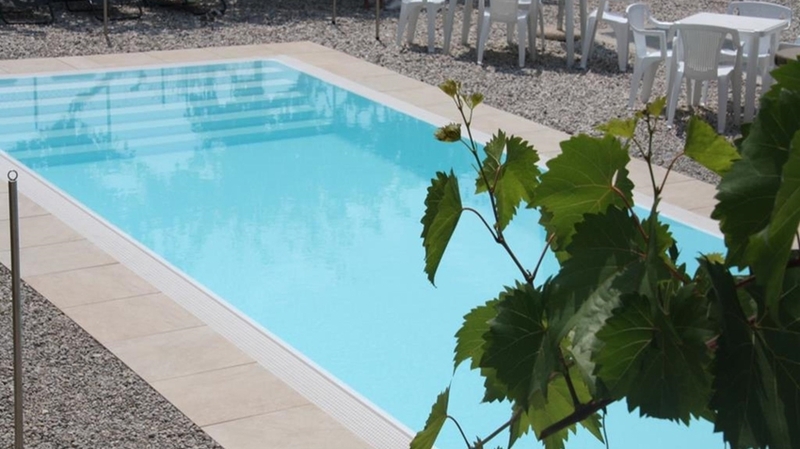 The picturesque house also has a garden with whirlpool, pool, pavilion, barbecue and tables as well as a private car parking and secured storage for bikes, surfboards and much more. Arco and environs have suitable activities for all tastes. In the magic mountain world, you will look forward to countless climbing parks, fixed-rope routes, hikes and mountain bike tours. 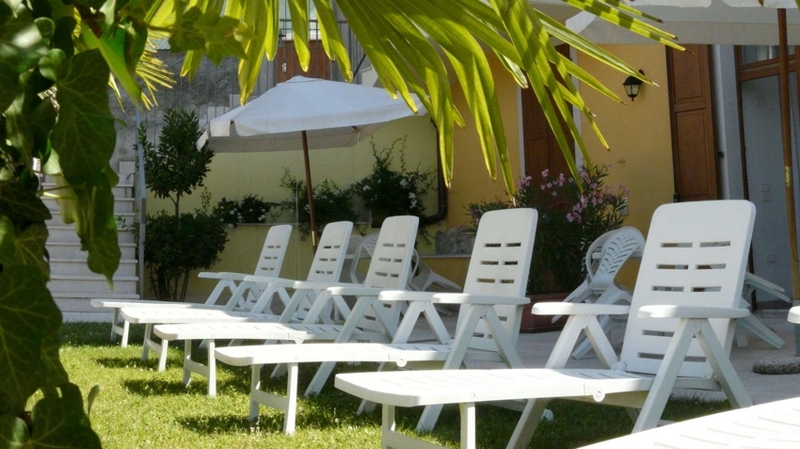 At the nearby Lake Garda, you can take a bath and try different types of water sports. In Arco, you should visit the worth-seeing Arco Castle as well as the botanic Arboreto garden at Parco Arciducale. In case of rainy weather, you can visit MUSE (museum of science) in Trento or MART (museum of modern art) in Rovereto. 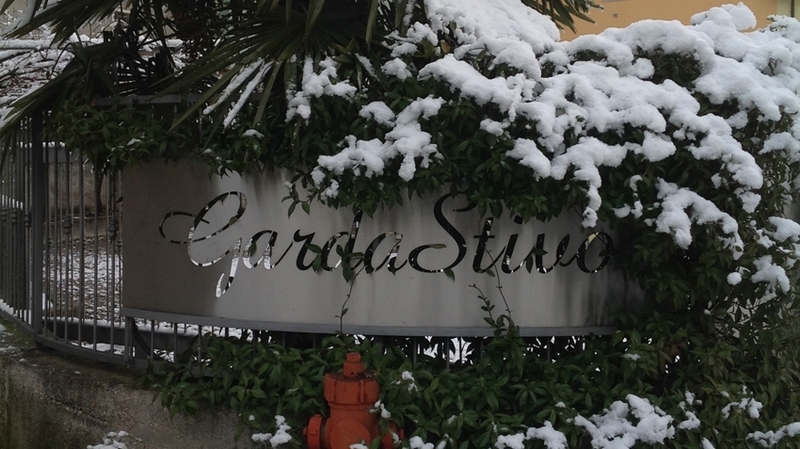 The apartments are studios large and spacious and can accommodate from 2 to 6 people. Are equipped with every comfort: kitchen, bathroom with shower, TV, security box, heating, air conditioning (on request), wi-f (on request)i, towels, kitchen utensils and bed linen. 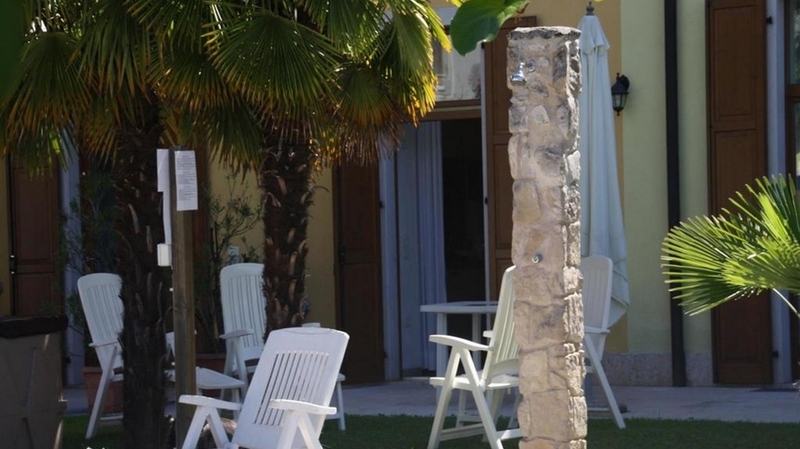 Guests can benefit to private parking, a laundry room with washer and dryer (2.50 € per cycle), a place for windsurf and bicycle storage, covered outdoor space for outdoor dining in case of rain and a garden with possibility to use barbecue, swimming pool and a watermassage (in summer). 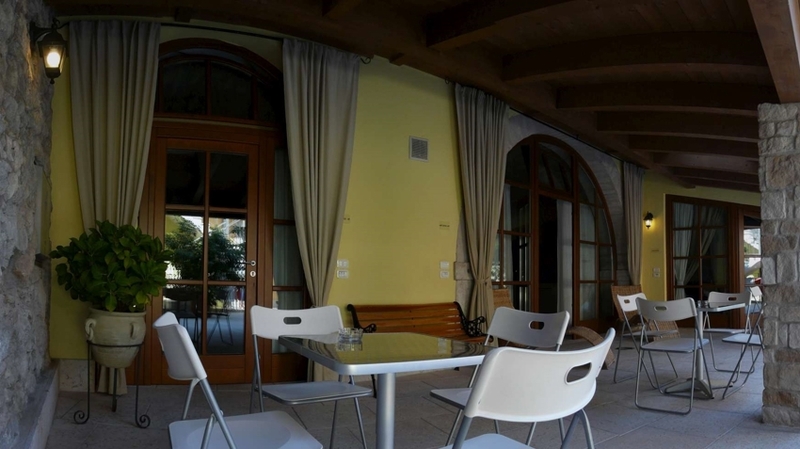 The appartament “Al Fontanon” is situated in the medieval center of Arco (no inside the structure Gardastivo), near “Arciducal Park” and olivaia. It is a good point to starting to practise any activities so ample walks, freeclimbing, trekking, mountain bike, wind surf, sail, canyoning, rafting and horse-racing. In a few minutes you can reach the Garda lake that is also navigable with equipped boats and it's bay that is attainable crossing a cycle-pedestrian in absolute safety. Besides for the lovers of winter the ski footsteps and skating7bob rink far few Km. 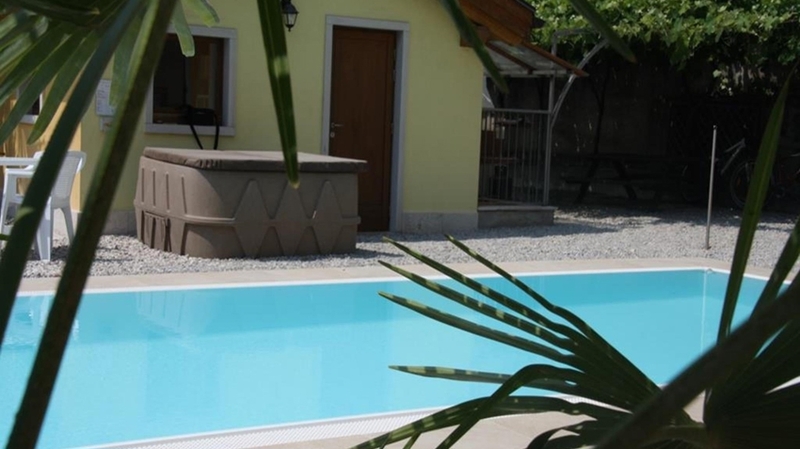 This appartament can comfortably entertain up to 8 people and it is composed from: one large living-room with separate kitchen, 3 bedrooms, 2 bathrooms, 1 cellar for bike, motorcycle, surf and ski, and there are 2 garage that far 300m. The east windows lean out on a small plaza where there an old fountain into which now some ladies still bring him to wash the cloths. Pets welcome on request. + Die kurze Distanz nach Arco, dass wirklich alles nötige da war und vor allem der Pool ! + Sehr nette und aufmerksame Gastgeberin, so dass wir sehr gern wiederkommen möchten. + sehr schöne Anlage, sehr sauber und gepflegt. 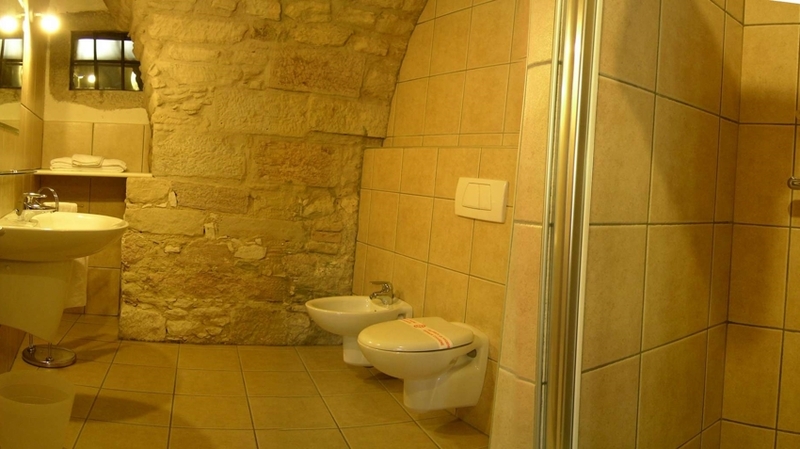 die Wohnungen sind praktisch und hübsch eingerichtet. -schöner Außenwhirpool, Zentrum gut zu Fuß erreichbar.